IRC Three went to wire this afternoon in the Rolex Fastnet Race between two French JPK 10.80s. Coming into the finish Timeline, of past class winner Marc Alperovitch, seemed to be the victor but when Arnaud Delamare and Eric Mordret’s lower rated Dream Pearls arrived 33 minutes later, her time corrected to 1 minute 11 seconds ahead of her compatriots. 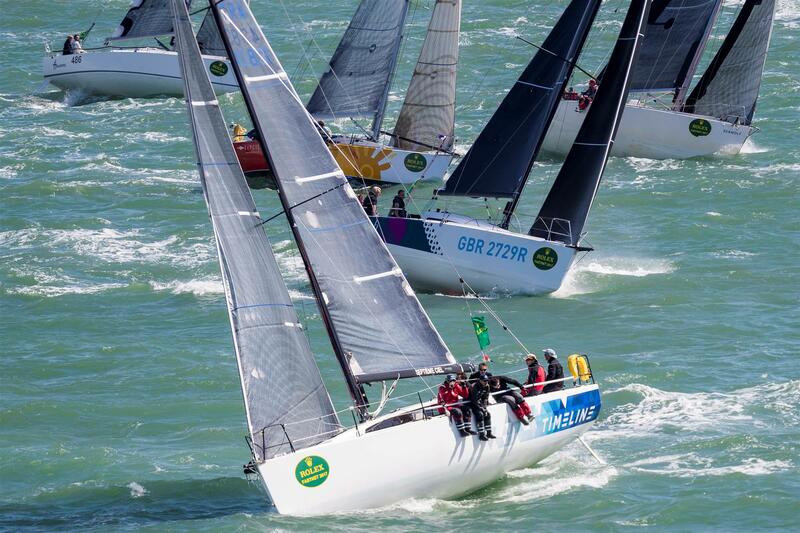 Dream Pearls has been one of the leading contenders in the RORC Season's Points Championship this year, winning the De Guingand Bowl in May, but the Rolex Fastnet Race has been the pinnacle of the team’s year. “The Rolex Fastnet Race is a most prestigious race and we are very happy to win this,” said Maby. Their victory came despite not sailing well for the upwind first half of the race. They regretted following their routing up the west side of the TSS at Land End’s and by the time they reached the Fastnet Rock they were 25 minutes behind their opposition. However, by staying south en route to the Bishop Rock traffic separation scheme, they halved their deficit on Timeline. This was enough to leave them neck and neck for the IRC Three lead for the remaining miles back past the Lizard to the Plymouth finish line. 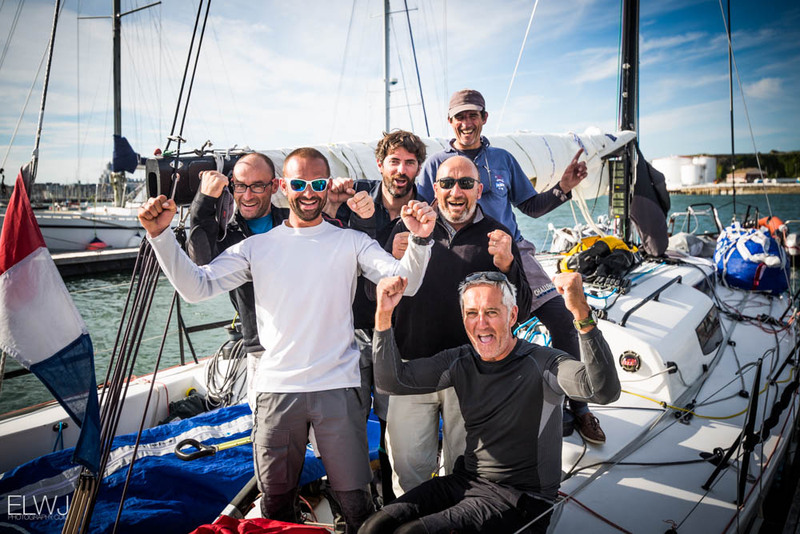 Despite leading the IRC Three fleet into Plymouth and losing by one minute, Timeline skipper Marc Alperovitch had come to terms with his close second. Unlike Dream Pearls, Timeline sailed east of the Land’s End TSS, which Alperovitch reckoned saved them four miles, plus this allowed them to sail into a favourable right shift. He was also proud of their navigation, calling the layline into the Fastnet Rock from almost 90 miles out. Today at Plymouth Yacht Haven the trickle of boats arriving has become a deluge. Steven Anderson’s Corby 40, Cracklin Rosie docked in Plymouth Yacht Haven this afternoon, slightly later than anticipated following some drama at the start on Sunday. Another red boat, Ross Applebey’s Lightwave 48, Scarlet Oyster, had more success and was lying fifth in IRC Two at the close of play today. This was his ninth Rolex Fastnet Race for skipper Ross Applebey, having competed in his first in 1999 shortly after leaving university, winning class for the first time eight years later. The long upwind slog was made harder for Scarlet Oyster by spending four hours stationary off Falmouth, followed by an hour at the Fastnet rock attempting to make it round in light wind punching tide. “The boats in front slid through and, as we got slower and slower, all the boats behind compressed up to us. 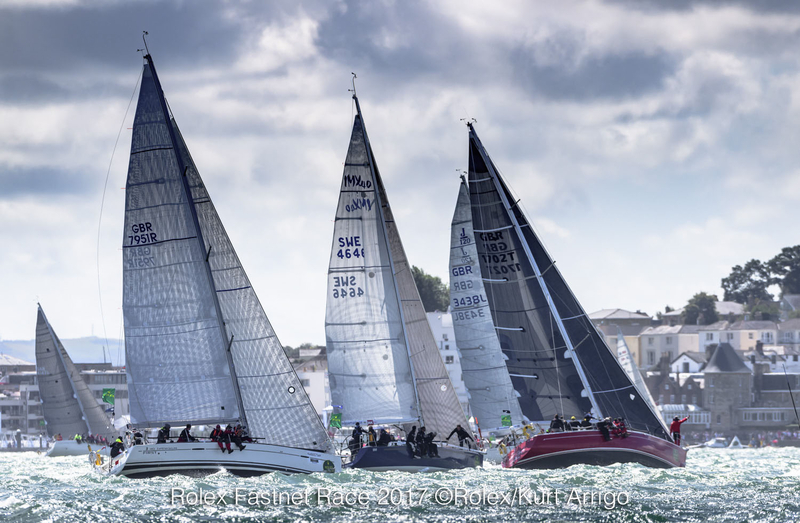 But the return leg was great fun, spinnaker up and a good reach,” concluded Applebey. If Scarlet Oyster is one of the northern hemisphere’s most prolific race boats, one of the most historic also finished today in Jim Kilroy’s Kialoa II, the 72ft S&S design that the famous American businessman campaigned to victory in the 1965 Transpac and the 1971 Sydney Hobart. The boat is now owned by brothers Patrick and Keith Broughton, who originally herald from Plymouth. However Patrick now lives in Sydney where he usually campaigns this classic racer. 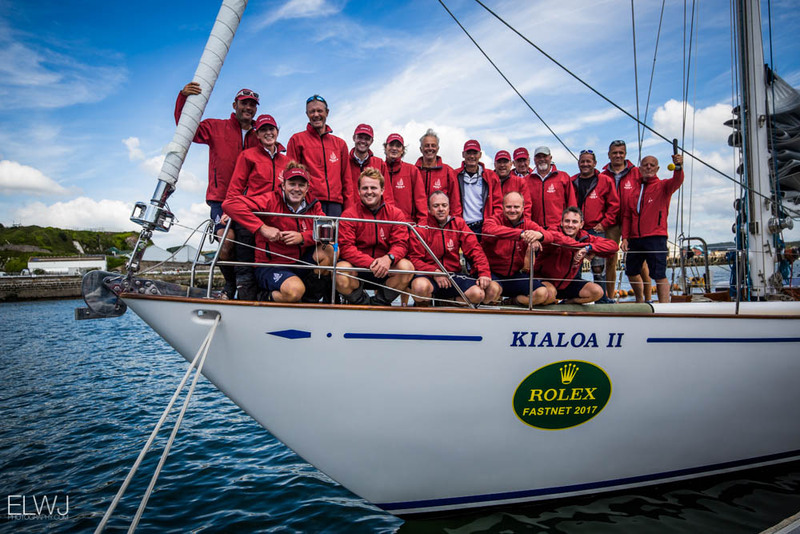 Having competed in the Rolex Sydney Hobart they sailed the boat from Sydney to take part in the Rolex Fastnet Race. The famous boat hasn’t made too much of an impression on the results, but Broughton was nonetheless satisfied with their results. Their arrival into Plymouth should have been triumphant but instead it was more frustrating as the breeze faded for them. “But it’s good to be back here. The whole race was very mixed for us,” concluded Broughton.